Debt can be great! Debt enable you to own things you cannot afford directly and debt is also great for creating a good credit record so you will be able to qualify for a home loan, vehicle loan or even business loan when it is time for an upgrade. But managing your debt isn’t the simplest of tasks. Just one or two missed payments can leave you with a lot of fines and a bad credit record and a bad credit record is the last thing you want because that will affect all future loan applications or even small account applications like a simple cellphone contract. It is important to manage your debt no matter how little or much you owe. If you have debt at a lot of different businesses then you can definitely consider applying for debt consolidation. You can get debt consolidation without affecting credit because with this handy option all of your debt will be managed under one single payment. When you apply for this option, a financial expert will analyze your credit record and establish exactly how much you owe at which companies. The debt consolidation company will then pay off all of your debt for you and will then supply you with a single monthly payment. 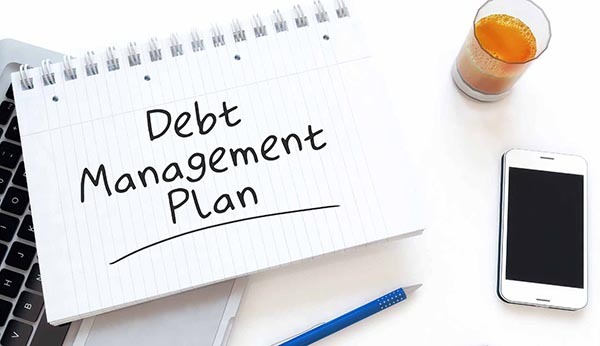 Debt consolidation doesn’t just make everything easier it can also save you from falling into bad credit, save you money on various debit orders and debt consolidation can save you a lot of money on interest since they often offer a much lower interest rate than other loaning firms and businesses. If you absolutely don’t want to consider debt consolidation then you definitely need to establish a good plan of action. The first step is to estimate just how much debt you have so you will know what you are dealing with. It is essential to pay your debt each and every month or you will be stuck with a bad credit record not to mention extra fines. Create a budget and ensure that your debt is the first thing you plan for. A budgeting app on your smartphone can be quite handy because these apps enable you to monitor your budget on the go and you won’t ever forget any of your outstanding payments that still need to me made. Once you know exactly what your monthly expenses are you can start prioritizing your payments. Debt should be at the very top of your list of things to pay if you want to maintain a good credit record. Other payments like rental expense and electricity bill should be next on your list and luxuries should be the very last thing you pay.